Valve and HTC are feeling awfully generous with their upcoming virtual reality headset, the Vive. They'll be handing out free development kits to a handful of qualified studios. This week, the folks at Ars Technica sat down with Doug Lombardi, Valve's VP of marketing, who spilled the beans on the Vive's developer program. According to Lombardi, a limited number of development studios will receive two headsets, two controllers, and two base stations. And all of these goodies will cost less than anything off the Dollar Menu at McDonalds. This maneuver is surprising for two reasons. First, manufactures don't typically give out free hardware. Oculus Rift dev kits cost about $350, and console kits can cost thousands of dollars (if not more). So, there must be something particularly special about the studios that receive these devices. Second, the Vive will reportedly be more expensive than the Oculus Rift. Last week, HTC's Executive Director of Global Marketing, Jeff Gattis, spoke with Ars Technica about the device's pricing and admitted that the Vive might be a little more spendy. Starting with the premium experience, even if it has a slightly higher price point, is the right thing to do from a strategic point of view. The price can always come down as the market grows. We know there is some pent-up demand there, so there’s not so much price sensitivity early on. But to get the broader consumer adoption we’re all hoping for, the industry will have to drive price down to make it more accessible. Whether we do that with Vive or other form factors and devices, we understand the importance of driving price down to achieve adoption. If you'd like to get your hands on one of those freebie development kits, you'll need to be patient. HTC and Valve are working on a new website that will offer "more info and 'sign up' forms," but it won't launch until next week (hopefully). However, if you miss the freebies, Vive development kits will still be available. You'll just need to crack open your piggy bank. 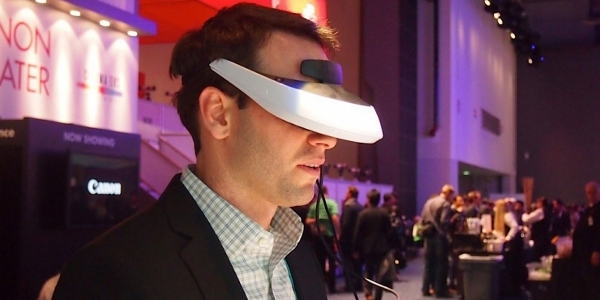 The fact that these VR devices will hit the market sometime this year is exciting. Virtual Reality technology has been stuck in a rut for decades, and even the most promising devices weren't particularly fun or user friendly. But now that the Vive and Rift are almost here, the video game industry could see some serious changes. What about you? Are you going to buy an Oculus Rift or a Vive? Let us know in the comments.